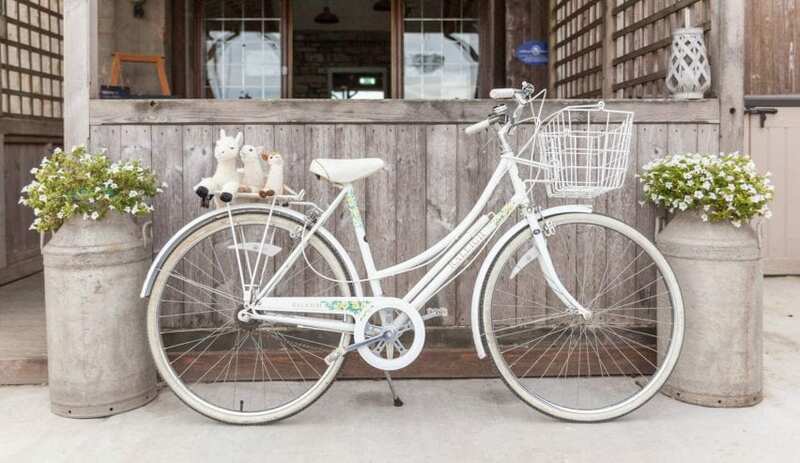 Opened in 2016, Calico Barn is perfect for walkers and cyclists passing on the adjacent walking and cycle routes. The barn, designed with these needs in mind, includes secure cycle storage with CCTV. 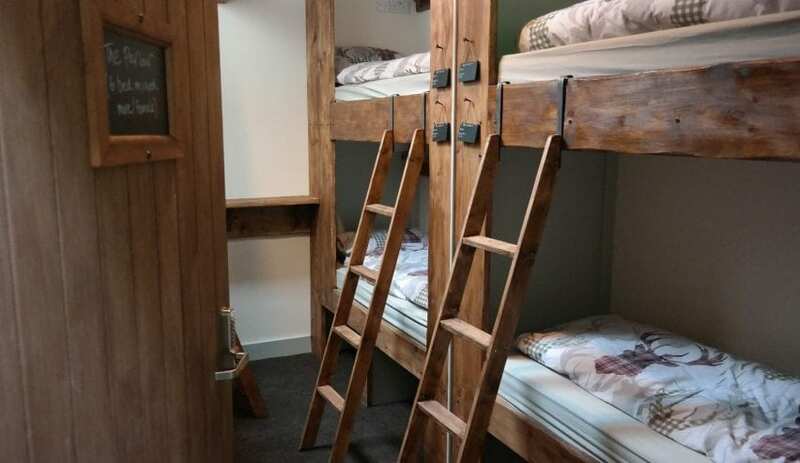 All beds are cabin style bunks, fully fitted (so no squeaks) with comfortable and long, mattresses and bedding. 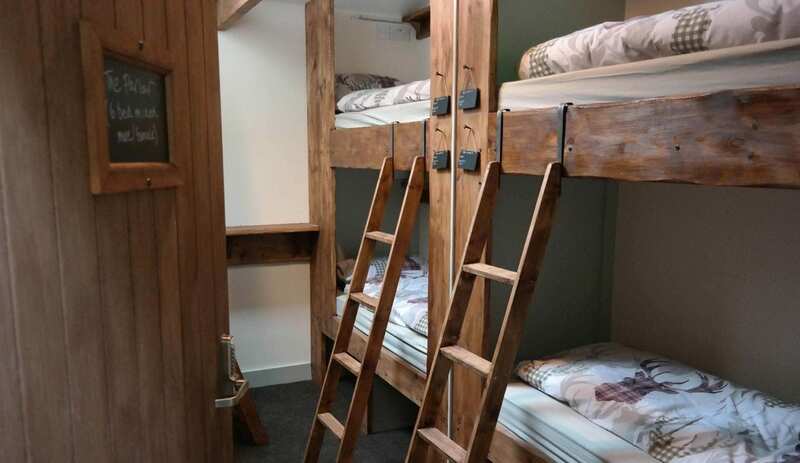 Each cabin has a light, twin socket, USB chargers, shelf and under bed storage. 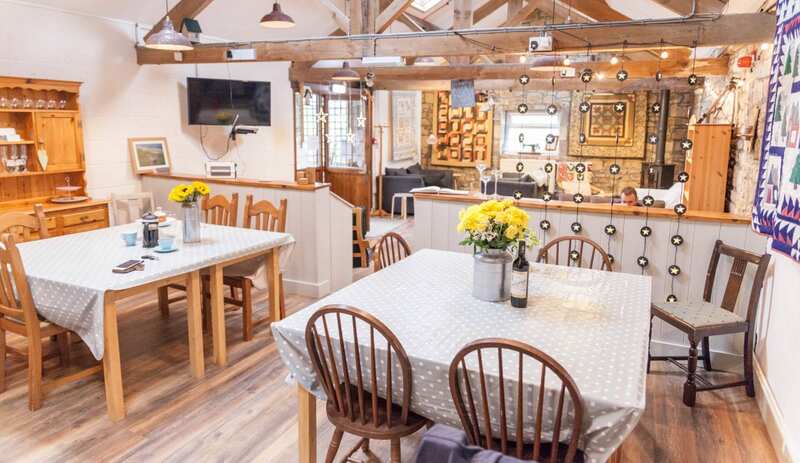 The Barn sleeps 18 in two twin rooms, two quads and a 6-bed private rooms. 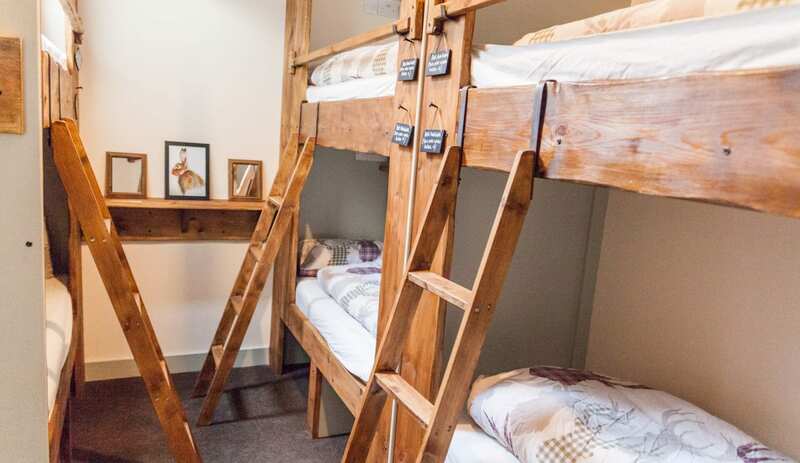 Beds are usually available in a shared room too.These are serviced by 3 wet room bathrooms (one has disabled access). 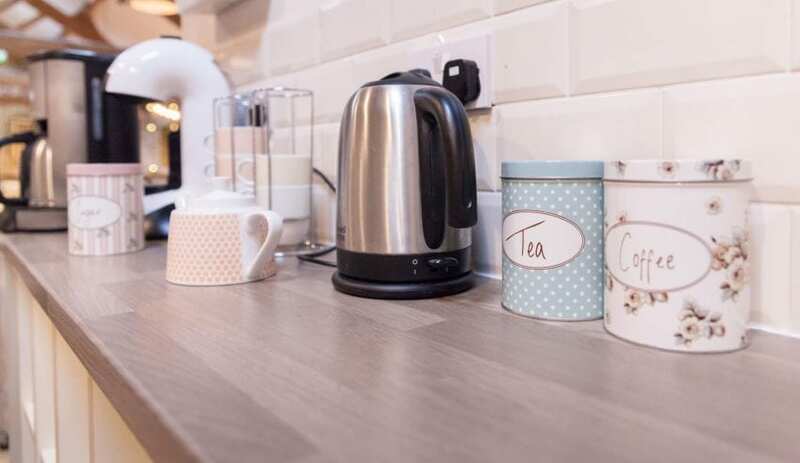 A fully equipped kitchen has hobs, microwaves, toaster/kettle and all cooking equipment. A dining area is next to the kitchen. Breakfast (cereals) is included in the price, as are tea & coffee. Cooked breakfast packs for guests to cook in the morning and evening meals can be ordered for a small additional fee. 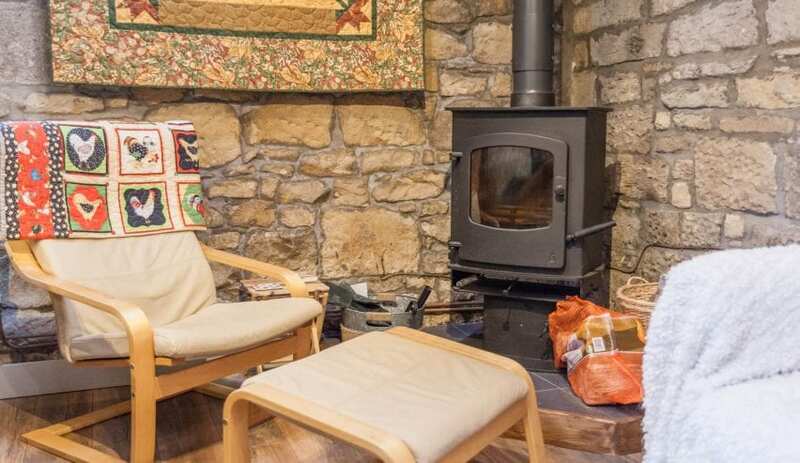 The sitting area has sofas, chairs, a smart TV/DVD and wood-burning stove. Outside there is a veranda and an adjacent paddock. There is free WiFi in the Barn. This accommodation is featured on our map of Northumberland and here is its own website. At the A1068 roundabout by the Widdrington Inn turn east and follow the road until you see the Calico Barn sign and turning on the right. Full directions on accommodation's website. Buses to Berwick upon Tweed and Newcastle at Widdrington and Cresswell. Train station at Widdrington. 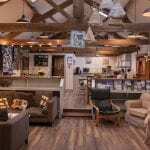 This accommodation is by the sea, is available to individuals, gives a Best Price Guarantee, is an 'Eco Hostel', has a pub within walking distance and is on the Land's End to John O' Groats Cycle Route, the Luxury Barn page, the IHUK signage page, the Wedding Venue page and the Hostels with Camping map. 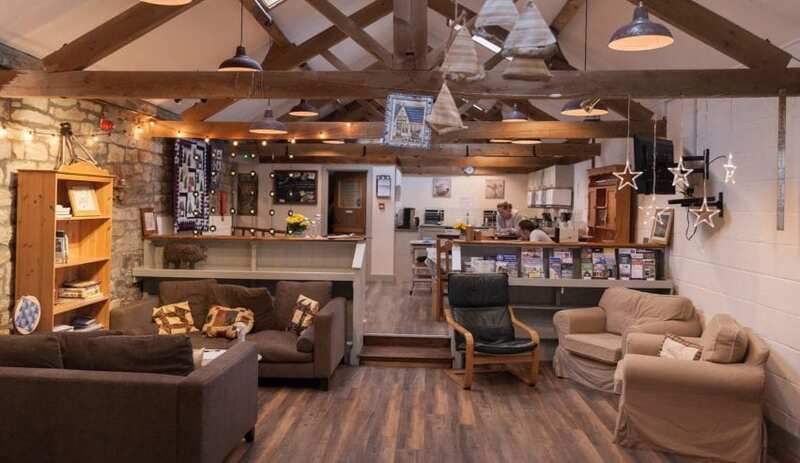 Break your NCN Route 1 adventure in comfort and style at Calico Barn Bunkhouse! Flying behind you, your hair, full of wind is racing you towards your destination… make that destination Calico Barn Bunkhouse for a relaxing and comfortable rest before your adventure continues! 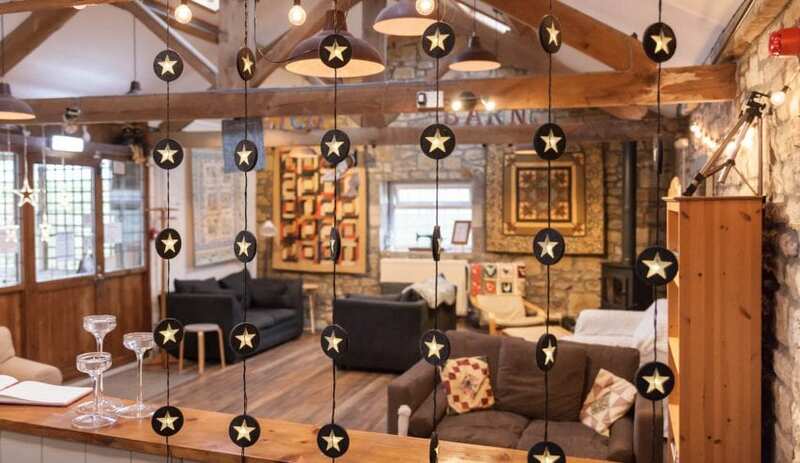 Flying behind you, your hair, full of wind is racing you towards your destination, eyes sparking with adrenaline, and a huge grin pulled backward by the force of your speed… Don’t let that smile be put out- rest up in comfort and style at Calico Barn Bunkhouse- be ready to continue your NCN Route 1 adventure tomorrow! Calico Barn on Hemscott Hill Farm is close to the wild and glorious Druridge Bay. 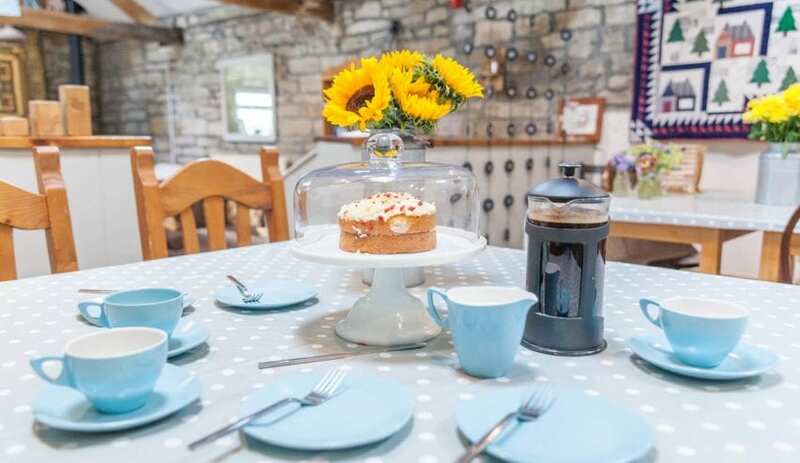 The farm runs a wild campsite on the dunes for a fee weeks a year and Calico Barn provides accommodation all year around in a gorgeously restored barn with comfy sitting room, self catering kitchen and accommodation for 18 in 5 bedrooms. Stay in this high quality bunkbarn on a working farm right on NCN 1. 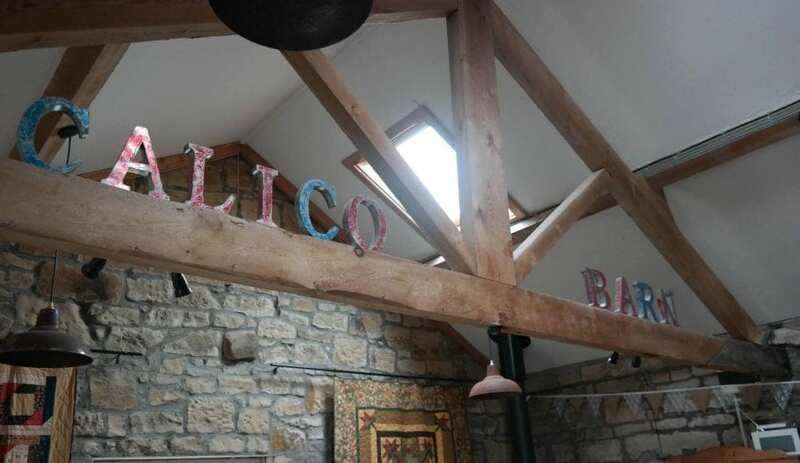 Calico Barn is part of Hemscott Hill Farm where you can Camp, Glamp or stay in holiday cottages or if you are a walker, cyclist or group wanting a larger place to stay you can stay in the newly created and beautifully decorated Calico Barn.